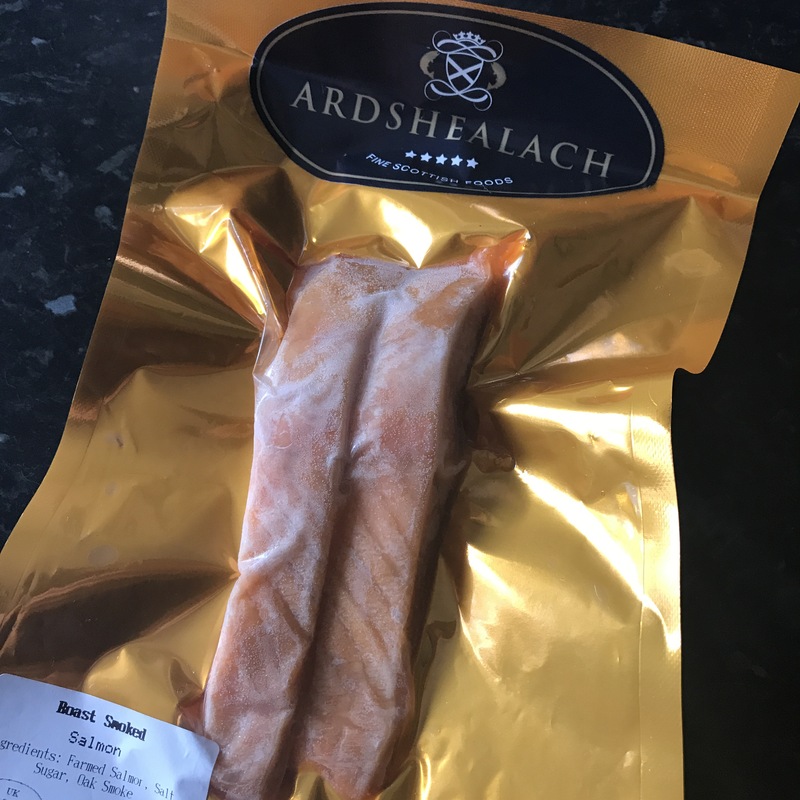 I was recently sent some gorgeous foodie items from Ardshealach Smokehouse up in Glenuig. They asked me to try them out and I decided to get creative with the goods. 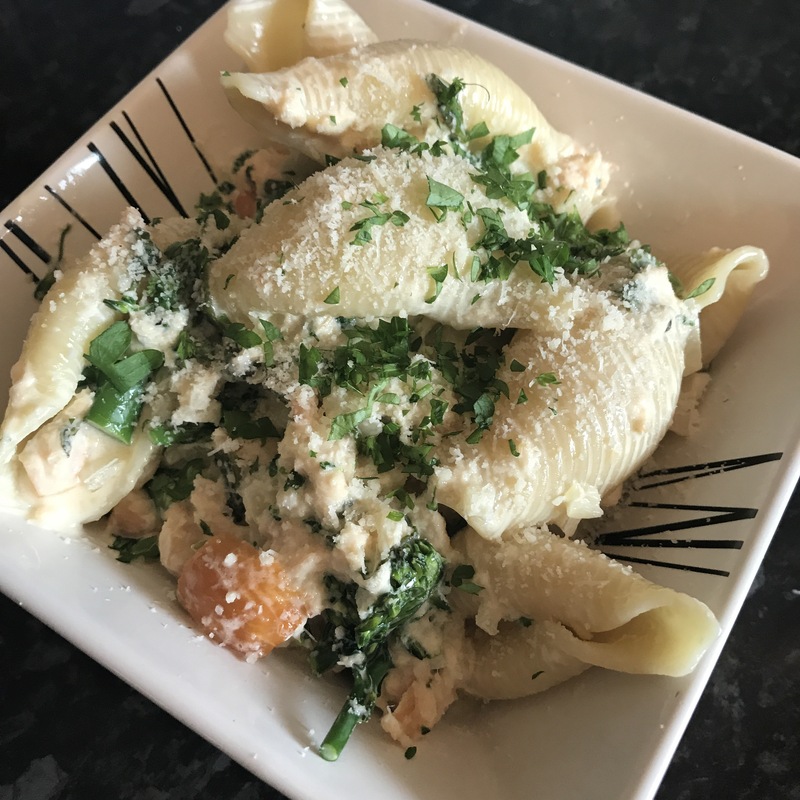 They sent me some of their Roast Smoked Salmon which I absolutely loved, so I played with it to create some salmon-based recipe goodness for your reading pleasure! Set your oven to 180°C and boil up a big pan of water. My salmon was frozen and I forgot to take them out in advance so I wrapped the fillets in foil and baked them for 15-20 minutes. Finely chop the onion, crush the garlic, chop the broccoli into 1 inch pieces, slice the spinach and finely chop the parsley. Add the conchiglie to the water and cook as per instructions (mine didn’t have instructions and took a good 15 minutes). You’ll add the broccoli in for the last 5 minutes. Fry the onion and garlic until softened and add the wine, spinach and a good handful of the parsley. Bring to the boil and reduce. Add the cream, Parmesan and heat until warm. Flake apart the salmon, and then just add everything together! 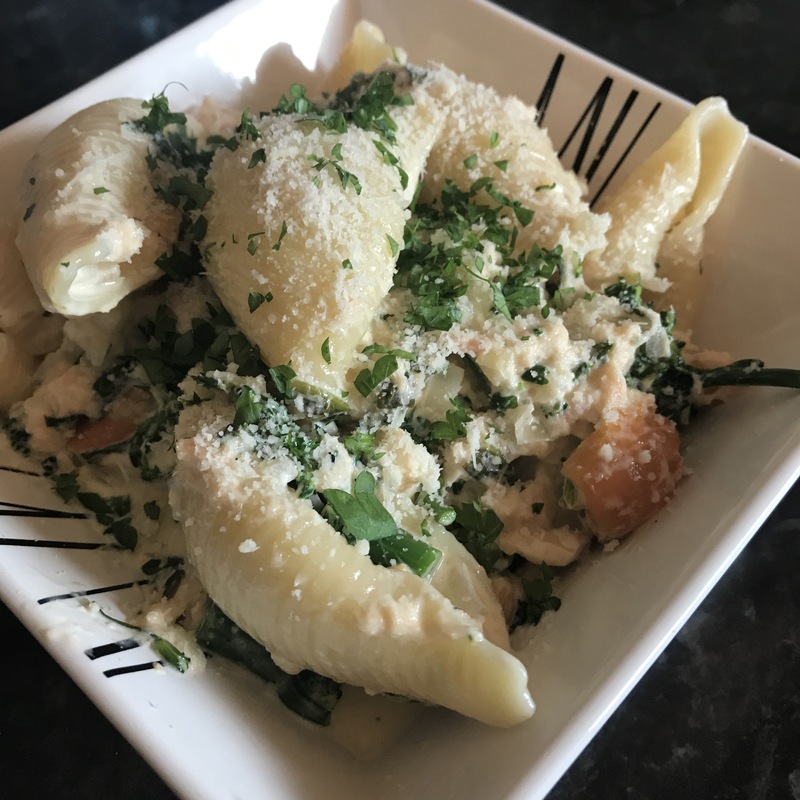 Sprinkle with some extra Parmesan and some parsley – then enjoy!